The bi-level Car Park lot between Georgian Avenue and Cherry Street. I'll never forget the lady in the green 1952 Chevrolet. It was a very hot morning in June of 1960. I had just started my new summer job as an attendant at Car Park lot No. 11 at Lindsay and 10th streets near the telephone company. That first morning Roy, the supervisor, came over to show me how to run the lot. I hadn't told Car Park's owner John Riddle when he hired me that I had never driven a stick shift. By 8 a.m. there was a long line of cars waiting to get in. The temperature was in the 90s and rising. Roy and I parked the cars, and I tried to avoid the ones with manual transmissions. Finally the lady in the l952 Chevy pulled in. Roy smirked, said, "There you go, cowboy," and walked away. I had no choice but to park the car. As I popped the clutch and left a streak of rubber, I could see the look of dismay on the lady's face. From then on, I was all alone. By the end of the day, I knew how to park cars, stick shifts and all. I worked at Car Park for the summers of 1960-'64. 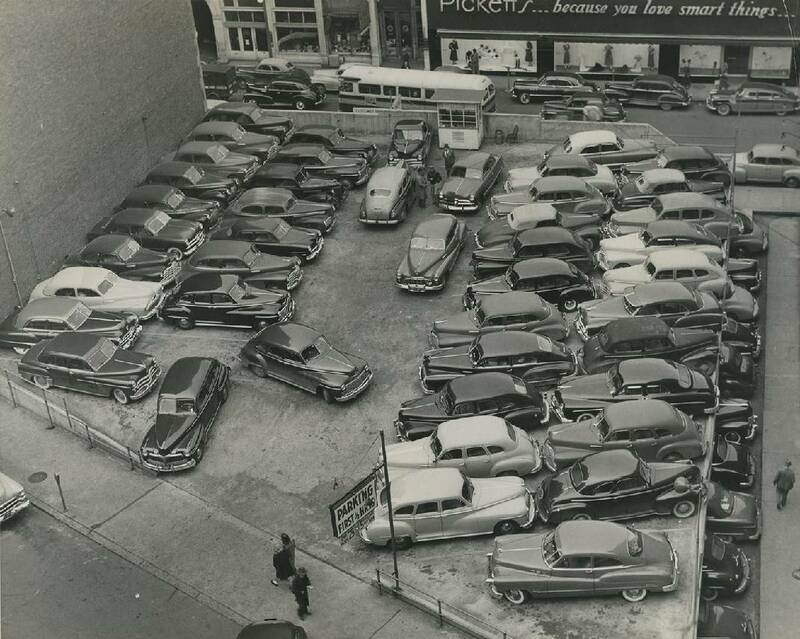 In those days, an attendant was supposed to park every car at the various locations, but Lot No. 11 was unique. It was partially full before being officially opened in the morning. Telephone operators with monthly passes had already parked in the row facing Lindsay Street. At 4 p.m., operators would pull over to the curb, and the attendant would have to move cars from the row behind to fill the now-vacated spaces. In addition, we had to move other cars around to create aisles so that people leaving at 5 p.m. could depart without assistance. In Car Park parlance, this was known as "breaking down the lot," and it took place rain or shine. The hours were long on weekdays. I arrived at 7:30 a.m. and didn't leave until 10 p.m. Saturdays were relatively quiet, and the lot closed at 6 p.m. I didn't work on Sunday. There were no restrooms and no food, but Car Park did provide a barrel of ice that quickly melted into drinking water. Fortunately, the Chattanooga Printing Co. next door had restroom facilities. I took my lunch but would run to a nearby restaurant for a quick takeout dinner. It was very hot work. The temperatures on the lot were often in the 90s, but the car interiors were well over 100 degrees. When it rained, I had to roll up all the windows, and when it stopped, roll them back down. Another near-tragic, learning experience came when I backed into a lady crossing the lot and knocked her down. Fortunately, she was not hurt, and I was very careful after that. During the summer of 1961, I ran Car Park lot No. 12, which was at the intersection of Broad and 10th streets, adjacent to the Rogers Theatre. During the day, I could watch the few remaining L&N passenger trains arrive and depart from the nearby Union Station. For the two summers after that, I worked as relief man at lots all over town. The hardest lot was the one between Broad and Market streets on Ninth Street (today's Martin Luther King Boulevard.) The lot was long and narrow and only three cars deep. We often parked cars on the sidewalk and had to turn them in the street before backing them over the curb. Another challenging location was the two-story lot on Cherry Street behind Pickett's store. Attendants on the lower level had to maneuver cars, including Mr. Pickett's black Cadillac, around big pillars. By the end of each summer, I had saved enough money to pay for books, clothes and entertainment for the school year ahead. In addition, I got an enviable tan and learned the meaning of very hard work. Even today I can park just about any car anywhere and am happy to demonstrate my hard-earned skill to anyone brave enough to ask. Henry B. Aldridge is a Chattanooga native and professor emeritus of film studies at Eastern Michigan University. For more, visit chattahistoricalassoc.org.